Summary: Seven girls tied by time. Review: When I read a book, I hope that I'm taken away to a place far from my own. When I read I book I hope that I cry, scream, gasp, laugh and all that good stuff. 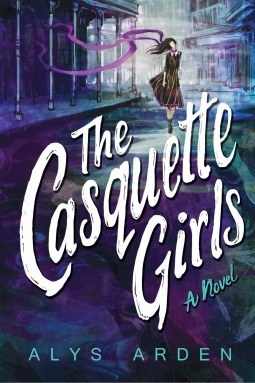 When I started The Casquette girls I had no idea what to expect. I was hoping I would feel all of those things and boy did I. New Orleans in this novel is a place of Magic, history, mystery, romance, and destruction. Adele Le Moyne has returned from staying with her mother in Paris while attending Notre Dame university. Adele fled with her father before the terrible storm hit New Orleans that created the most heartbreaking destruction. She's back in New Orleans with her father and its time to start again. However things are some what different now she is back and not just because of the destruction the storm had left in its wake. When she is caught up in a spell that wasn't hers to begin with, When she meets two mysterious brothers who are hiding a big secret, when she finds a diary that will change her life forever.. and when all else fails its time the coven band together to fight evil. Adele is one of my favourite heroines of all time. She wasn't at all two dimensional. I could picture her sitting on my bed and having a conversation with me! she's badass, doesn't take no for an answer and is one brave chick! You can definitely tell that Alys Arden is from the French Quarter of New Orleans, because of the amount of detail and eeriness that she brought to this book. So much so that I am now going to New Orleans next year! it has to happen. There are some shocking revelations in this book! Im not going to spoil it for you people but lets just say it wasn't wedding dresses in those Casquettes.... it was something much more sinister and exciting. Aly has created word images so vivid that it is almost like watching a movie. She takes you for a romp through beautiful New Orleans with an action packed suspenseful event that had my heart facing and had me excited from beginning to end. Don't open the attic door guys. Its locked for a reason. READ THIS BOOK.